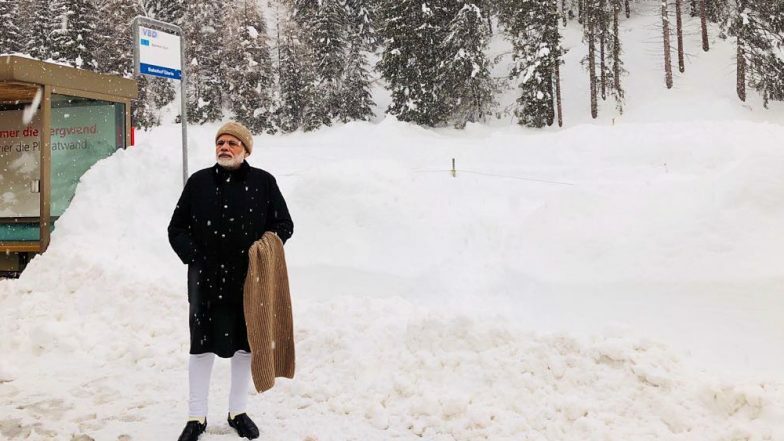 New Delhi, December 26: Prime Minister Narendra Modi is unlikely to visit any foreign country in the first quarter of the year 2019 as he will focus on the poll campaign for his Bharatiya Janata Party (BJP) for Lok Sabha elections. According to a report, government officials said there are no major multilateral events in the coming months where PM Modi's participation is required. According to the prime minister’s official website, PM Modi has no scheduled visits on his agenda for the next few months. In 2018, PM Modi visited 14 foreign countries. He recently visited Japan in October, Singapore (for events related to the ASEAN Summit), the Maldives (for President Ibrahim Solih’s swearing-in) and Argentina (for the G20 Summit) in November. Narendra Modi Remains Most Followed Indian on Twitter, Deepika Padukone Only Female Celebrity in Top 10. PM Modi often gets criticised by the opposition for his multiple foreign visits, however, the BJP maintains that the PM's trips improve the country's image at the international level. PM Modi, besides being the prime minister, is also the BJP’s most important campaigner. Moreover, the BJP is not in a mood to take any risk after its defeats in the recent elections in Rajasthan, Madhya Pradesh and Chhattisgarh. PM Narendra Modi's Foreign Trips: Rs 355 Crore Spent on 41 Visits. The importance of PM Modi can be understood by the fact that his aggressive campaigning in Rajasthan reduced the gap of his party’s loss and turned what seemed like a one-sided victory for the Congress a few months ago into a tight electoral contest. The government has to address two key issues that contributed to its loss in the Hindi heartland - agrarian crisis and unemployment. Besides, PM Modi will have to make strategy not only to counter a grand alliance of opposition parties that is in the making but also to pacify sulking allies over seat-sharing arrangements.